If you're here, you are a reader already. Welcome to my collection of the best quotes from Sophie's World. In case, you are not already familiar with this best-selling novel written by Jostein Gaarder, let me tell you, without any spoilers, that it has a 14 year old girl, a philosopher, and a whole lot of imagination. These Sophie's World quotes will make you want to read the novel, anyway. The curiosity about the unknown is actually what triggers a mind to attain knowledge. I wish I could have said this to one of my teachers who ignored my questions. This is the reality of life, and it hasn't changed since 1991 (the novel's publication). Imagine the imbalance a man with only one trained arm would have! Women can educate generations, so value them. If you believe that everyone else is superstitious, funny how everyone else would believe the same for you. And everything that we are made up of is valuable. The world itself is a wonderful wonderland. Asking questions is the best way to know more. The little things in life matter the most. Every thing is unique in its beauty. Weigh and balance your needs, desires, and their consequences. As said in the first quote, wisdom comes from curiosity of what is not known, than the belief that all is known. The words are so meaningful. Faith is the one thing that makes you stronger inside out. We, humans, aren't given enough power to know more than we are supposed to know. We are complex, and so is the Universe we live in. We juts unfold stories that are there for us. Sometimes, not seeing is believing. Science explained in the best way possible. The two types of people as defined in Sophie's World. How art that its major task is explained as an allegory of a midwife's task. I love it! Just like the five fingers aren't the same, so is it with the world. All kinds of people exist. The 'they' in this quote refers to the philosophers who reach the highest limits of thought and existence. These Sophie's World quotes really have you thinking. Faith and logic cannot mix, this is why faithful men are called 'believers'. 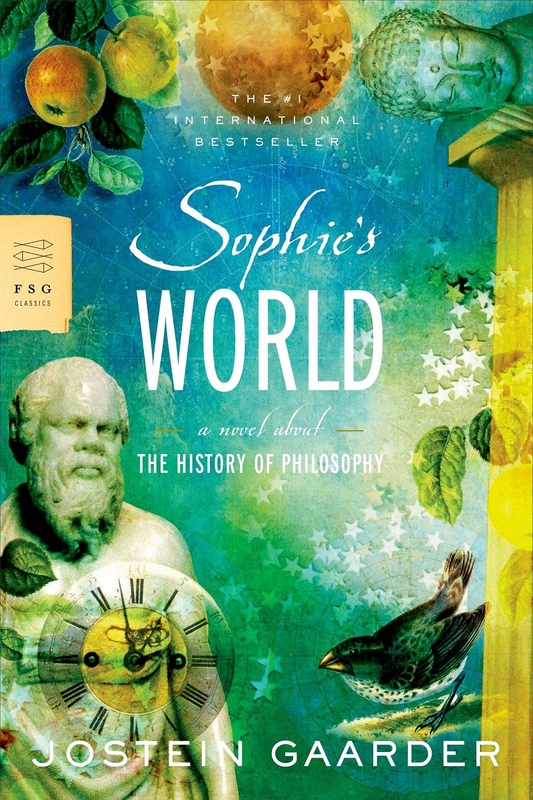 While girls at her age were lost into fairy-tales, Sophie found philosophy.